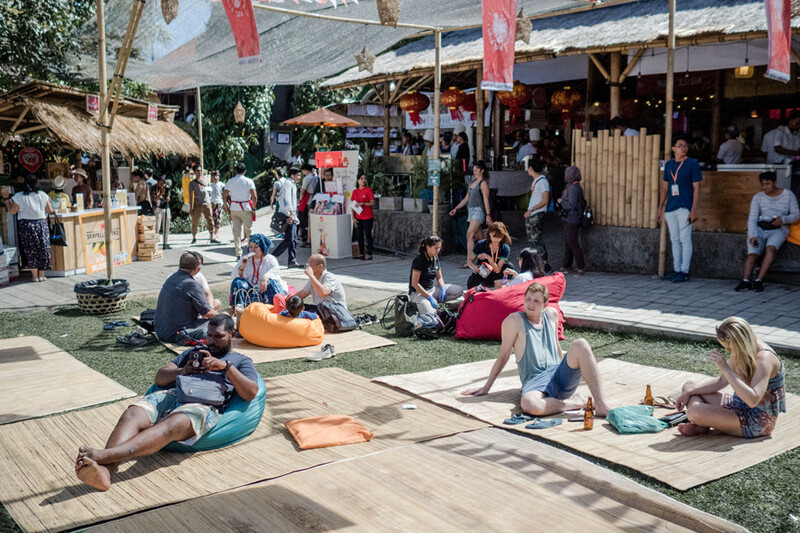 This 26-28 April, Bali’s foremost food-focused festival returns for its fifth year. 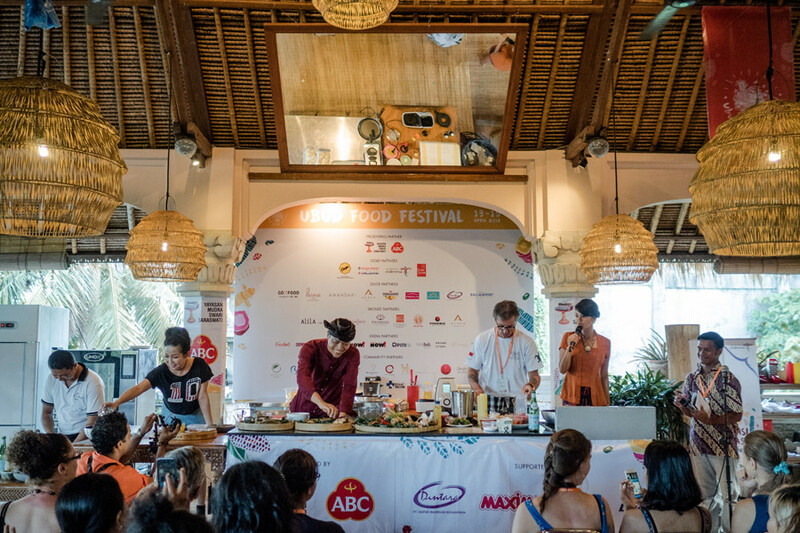 The Ubud Food Festival 2019 brings us their newest theme ‘Spice Up the World’, presented once again by ABC. Founded in 2015 by the people that brought us the Ubud Writers and Readers Festival, Yayasan Mudra Swari Saraswati, the Ubud Food Festival brings Indonesia’s most outstanding chefs, producers, restaurateurs, entrepreneurs, food photographers, storytellers, scientists and activists together in Bali’s cultural capital of Ubud to celebrate culinary traditions, discoveries and exciting advancements. While other Southeast Asian food cultures such as Vietnamese and Thai are adored internationally, Indonesian cuisine is far behind. But this is changing. Indonesian restaurants are opening their doors on foreign soil more rapidly than ever before. The UFF’s goal is to celebrate Indonesian food, chefs and produce and spread its greatness around the world. The idea is to “show food lovers across the globe that it’s time they added some Indonesian dishes to their list of favourites, and through this, learn something about Indonesia. Food is, after all, the easiest way to access a culture,” commented UFF Founder & Director Janet DeNeefe. The 3-day festival, taking place 26-28 April 2019, enjoys a range of activities for those participating. Taking place over many different venues and restaurants around Ubud, with its “hub” at Taman Baca, on the Raya Sangginan Road, it is a festival that offers so many different experiences. 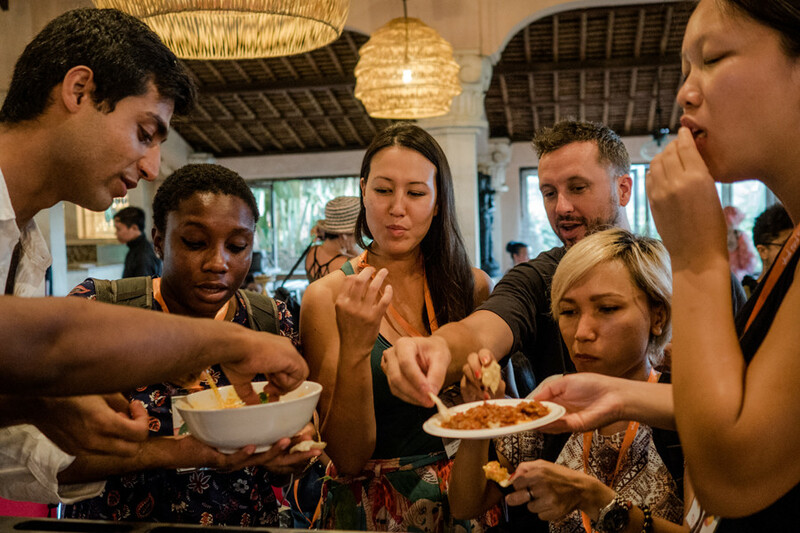 Everything from cooking demonstrations, food tours, masterclasses, in-depth discussions and panels, film screenings, kids events and special events are showcased at the Ubud Food Festival, with invited guests from all over Indonesia participating to talk and host. From Teater Kuliner, the festival’s heart where free cooking showcases take place, to the Kitchen Stage where you can get up close and personal with your favourite chefs as they teach you a special recipe, to long-table luncheons and dining experiences with some of Southeast Asia’s top restaurants, masterclasses for the wanna-be professionals and of course a whole range of market-style booths for bites of Bali’s popular restaurants serving up specialities for the day. Additional tickets for : Kitchen Stage, Special Events and Master Classes are available separately depending on the event. Get yourself 20% off a 1, 2 or 3 Day FoodLover Pass, a discount available for NOW! Bali readers. Simply enter the promo code MPNB at check out.